Our London training location is a purpose built training venue situated in Clerkenwell, London. Fitted out to the highest standards and with the latest audio visual equipment, the centre creates an appealing meeting and training environment. 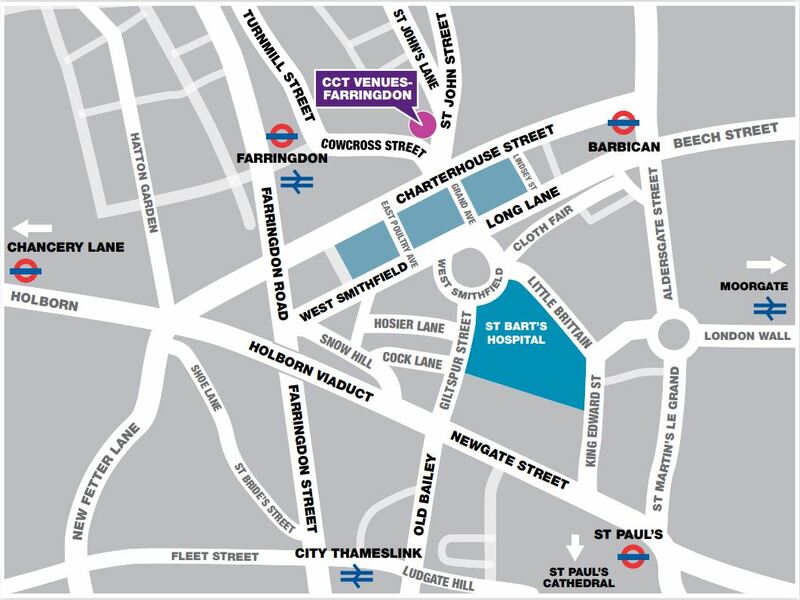 Our London training location is ideally located in Clerkenwell within walking distance of the vibrant bars and restaurants of Farringdon, Old Street and Shoreditch and just a short walk from both Barbican and Farringdon tube stations. In the heart of London's busy legal district, our training location is situated at 15 St. John Street, Clerkenwell and this custom-built training centre offers an ideal learning environment tailored specifically. It is a 5-minute walk from both Barbican and Farringdon tube stations found on the Circle, Hammersmith and City and Metropolitan tube lines (just one or two stops from Kings Cross), next to the Clerkenwell Animal Hospital.